I love Hawaii. 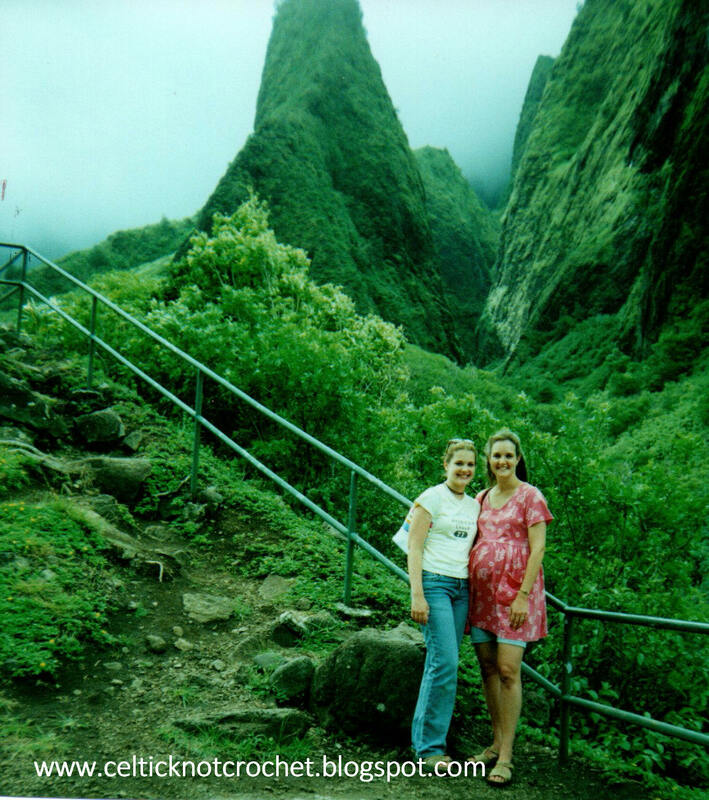 Even though I have always lived on the East Coast, I have traveled to Hawaii several times. 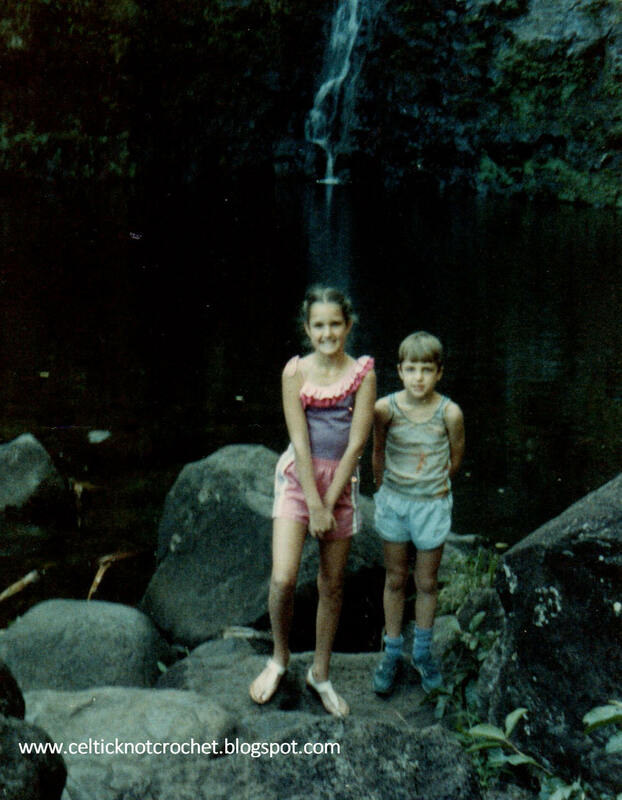 (A big THANK YOU to my parents for the many trips – they were all a blessing to be a part of.) And what’s not to like? 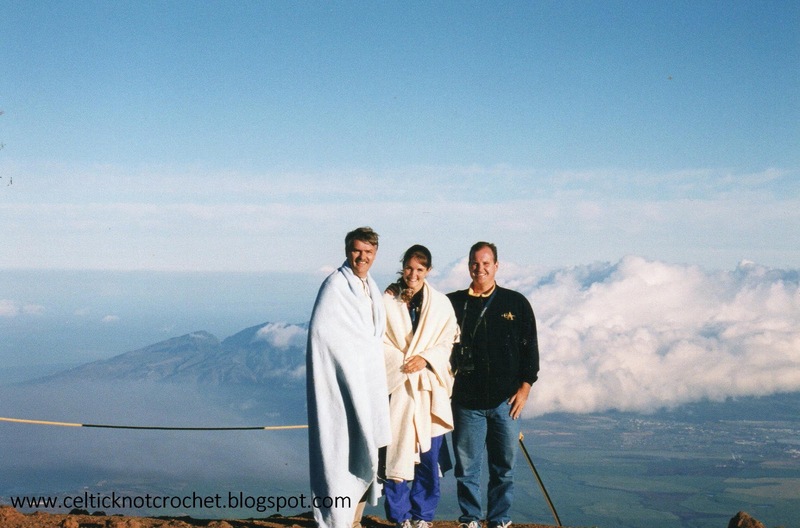 Hawaii has gorgeous weather, beautiful mountains and volcanos, lush tropical rain forests, unique land and marine animals. a warm clear blue ocean, powerful waves, and colorful fragrant flowers – year round! 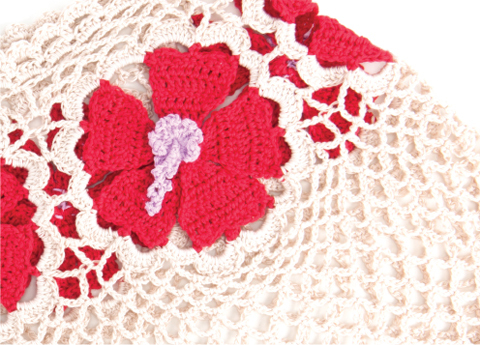 Of course, the hibiscus is one of my favorite Hawaiian flowers and I enjoyed making it the highlight of this summer wrap for Crochet Today!’s July/August 2013 issue. Everywhere you look on the islands it seems to be making a bold statement of color and class. It was a challenge to replicate its unique petal shape for the motifs. Then it was even more challenging to connect them and work the openwork stitches around them to make the wrap shape. 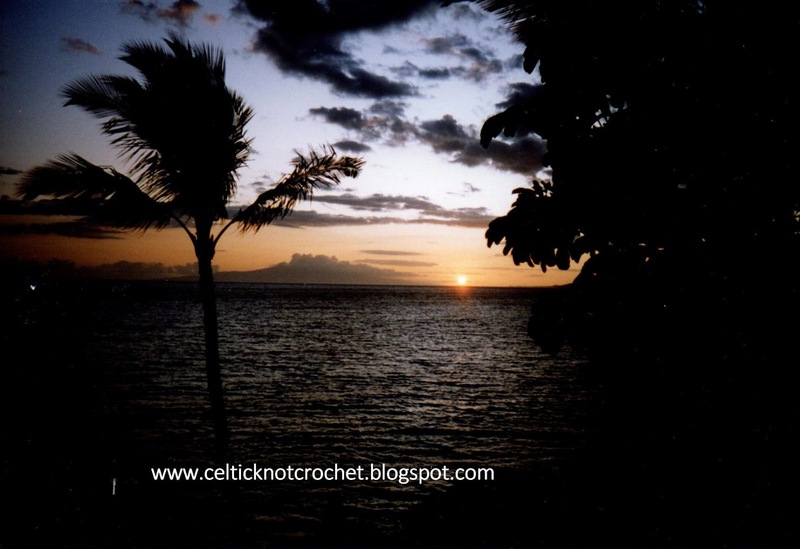 I used the Aunt Lydia’s Bamboo Crochet Thread – it is very soft and has great drape. As I worked on this design, I reminisced about our family vacations to Hawaii and my heart smiled, filled with all of the memories.